Click here to listen anytime online - in search field type “Corner Office Confidential” to access current and past shows. Dr. Manfredo Curtis is the host of SiriusXM’s Corner Office Confidential, a special series on leadership where she teams with her C-suite clients for intimate, exclusive conversations revealing their journeys and sharing with SiriusXM listeners the profound leadership lessons learned along the way. An exclusive preview of Corner Office Confidential hosted by Dr. Pam Manfredo Curtis. Guest Tom Linebarger, Chairman and CEO, Cummins, on gender equality. Guest Sara Levinson, Co-Founder and Director, Katapult Studio, board of directors Harley-Davidson and Macy's Inc., and award-winning former executive at Showtime, MTV, and the NFL, on being a woman in today's world. Guest Tom Linebarger, Chairman and CEO, Cummins, on life lessons he shares with his children. Guest Sara Levinson, Co-Founder and Director, Katapult Studio, board of directors Harley-Davidson and Macy's Inc., and award-winning former executive at Showtime, MTV, and the NFL, on her exhilarating experience at Harley-Davidson. Guest John Replogle, Chairman, Seventh Generation & Founding Partner, One Better Ventures, on running for Governor. examining their childhoods in search of their life purpose. 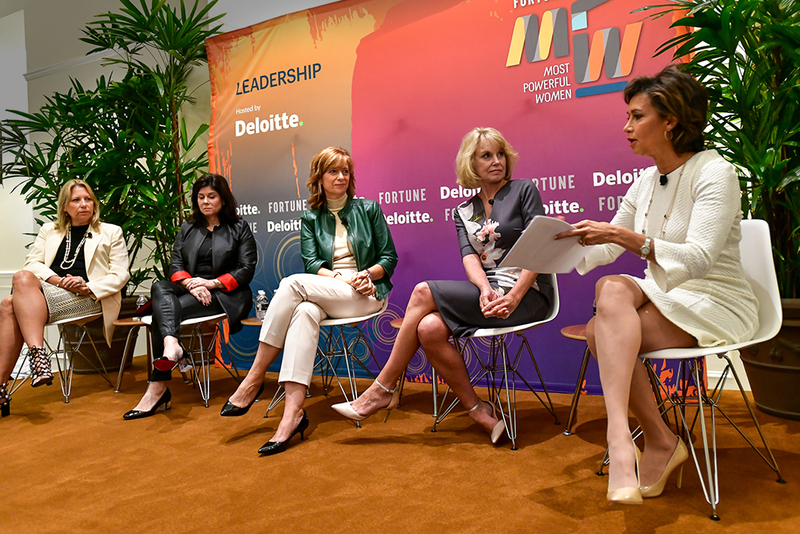 “Don’t go to your team unless you’re ready yourself,” said Pamela Manfredo Curtis, founder and president of Manfredo Curtis Associates, who has coached executives including General Motors CEO Mary Barra. She emphasized that authentic leadership has to start with a search for personal purpose—at minimum a six-month journey, she said. Her executive coaching first takes leaders all the way back to their childhoods, with the goal of establishing core values and identifying the issues that may be blocking progress. Dr. Manfredo Curtis was a featured speaker at the Authentic Leadership session. She connected with leaders and media throughout the three-day summit. On her YouTube channel, Dr. Manfredo Curtis shares her proprietary approach to help you be more successful.